Napkin that is perfect for your party or tailgate ... Or just because! And, perfect for gifts! 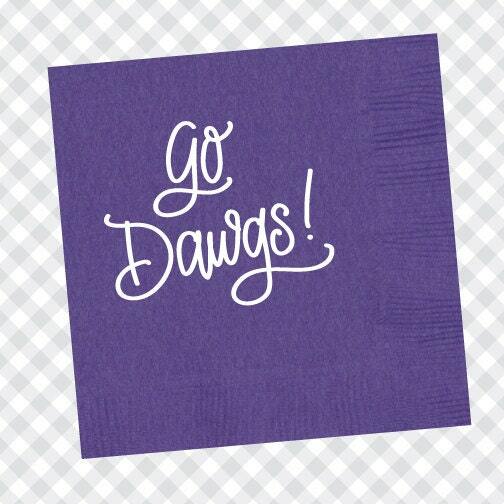 Purple Beverage Napkin Size - 5" x 5"
Hand lettered "Go Dawgs!" printed in white foil.